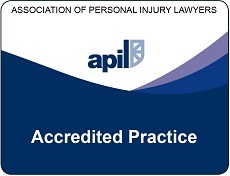 We are among the top personal injury lawyers in Scotland. When you are the victim of an accident at work, on the road or anywhere else, the first thing you want to do is put things back the way they were before. First of all, this means getting your health back as quickly as possible. Then, it’s about getting compensated for the loss, pain and suffering you have endured. When it comes to your health, you put your trust in caring, expert professionals. You should do the same with your compensation claim. 100% Compensation Scotland is powered by a leading firm of Edinburgh personal injury lawyers. Our solicitors handle your claim from start to finish with all the diligence, care and sensitivity you’d expect from a professional. We also ensure you receive 100% of any compensation you are awarded, unlike many of our competitors. 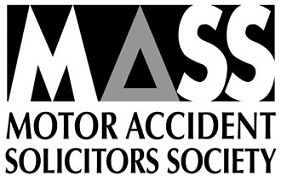 Currently we recover over £7,000,000 in personal injury damages every year. Speak to one of our personal injury specialists today. We are in the top three personal injury lawyers in Scotland according to the Legal 500 Directory – the Legal 500 commend us for our expertise in industrial disease work which includes asbestosis and mesothelioma claims. Our partners are recognised experts and praised for providing a “rewarding experience” for their “technical expertise” and for their “pragmatism” – we’re always 100% focused on getting you 100% compensation. All information was passed on quickly and I was kept informed and up to date with the progression at all times. I Liked how my family were always contacted whether there was news or not. All aspects were very professional and friendly. Thank you David & Staff. It was very professional and caring. The courteous manner that business was done in. All of it pleased me. I had no problems whatsoever. The service received was excellent, friendly and very professional. There were no aspects of the service that I was unhappy about. I was always kept up to date with what was happening and I felt I could contact my solicitor at any time. Thanks for all the work you have done over the past year, will definitely recommend yourselves to other people. For expert personal injury claims advice in Scotland, contact our solicitors today: call us on 08082789437.